So over the course of several issues, an under dressed Bruce Wayne recounts his encounters with the Riddler to the similarly dressed Selena Kyle. 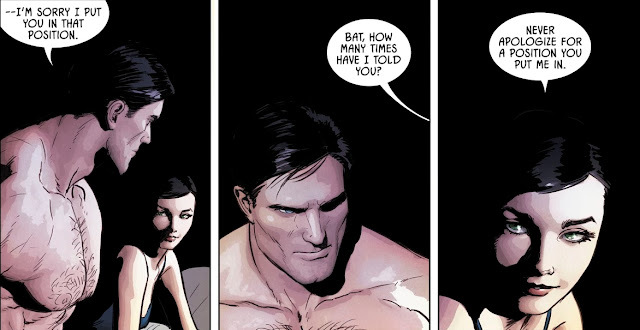 Here's part 2 of that saga from Batman Vol. 3 #28 & 31. More parts coming soon.